Kootenay Lake is in British Columbia, Canada. 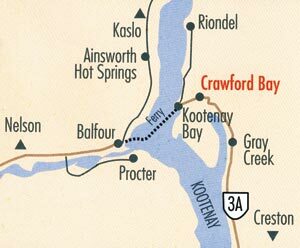 The east shore is 80 km north of Creston or ten minutes from the Kootenay Lake Ferry’s eastern terminal at Kootenay Bay, east of Nelson. Take time to visit our unique places to stay, fine dining, golf, trails and clean beaches.